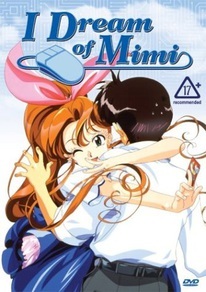 With character designs by Yuriko Chiba (STEEL ANGEL KURUMI) and scripts from Kaoru Shintani (AREA 88), I Dream of Mimi is a cybernetic love story like no other! For three long years, Akira has been saving to buy his very own computer. So when the Model 9821 finally goes on sale, he races to the store only to discover that it sold out in just 5 minutes! Yet, as luck would have it, Akira also manages to stumble across a man who just happens to be willing to sell him the exact model he was looking for! Unfortunately, Akira doesn't look close enough at the packaging. Instead of the 9821, he ends up with a Model 2198 - a super-advanced, biomechanical computer girl named Mimi! She's cute, she's got the super-fast processor he's always wanted, and she can fix up the house in an instant! But this cute little computer genie also comes with a couple of catches. Mimi is being mysteriously targeted for destruction by other bio-types, and she's going to require memory upgrades in order to fend them off! So now, poor Akira's life has been turned upside down. How can he possibly explain Mimi to his friends? Why is Mimi being attacked? The future's uncertain, but one thing's for sure - Akira's in for a wild ride! Spoken Languages: English, Japanese, English Subtitles, English On-Screen Text.